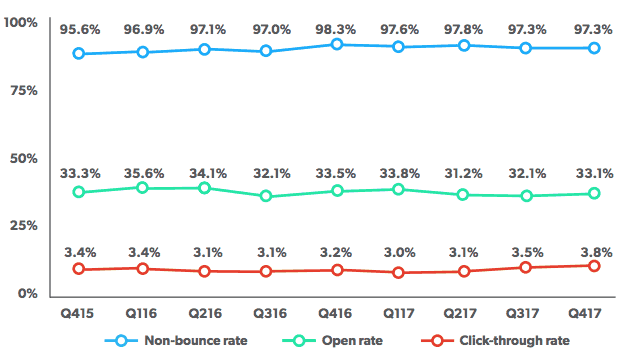 From send time personalization to writing great subject lines (and everything in between), learn how these email marketers achieve above average email open rates. When it comes to ROI across digital market channels, email is still king. However, even as the overall ROI remains strong, there are indicators that suggest that overall engagement with email has flatlined. Now, before we ring the alarms, let’s level set; this doesn’t necessarily mean that email engagement is getting worse, no longer effective, or even that the average email open rate is bad. It does mean, however, that we may need to shift our approach in order to continually grow and improve the results from our email marketing efforts. As with anything email related, we thought there was no better partner in uncovering what these shifts will look like than Seventh Sense. We recently partnered together to learn both qualitative and quantitative data around the things marketers are doing to improve and sustain great email open rates. The first thing we wanted to do was to compare the email open rates of our collective audiences against Epsilon’s expansive averages. According to our research, marketers are seeing email open rates on par with the industry averages, or even higher. 44% of respondents report open rates between 21% and 30%, while another 44% report open rates higher than 30%. 15% of respondents report open rates of over 50%. To learn more about what marketers are doing to see higiher-than-average email open rates, we dug in and asked. Here’s what we learned. When most marketers think of improving open rates, they automatically jump to things like subject lines, personalization, preview text, and from names, however, there’s a more obvious element that often goes missed–send time. Remington Begg, CEO at Impulse Creative, says that the old “shotgun” approach of emailing your whole list at the same time has grown increasingly ineffective. Doug Davidoff, founder and CEO at Imagine Business Development, echoed a similar sentiment regarding the success he’s seen using Seventh Sense. “We talk about right message and right person all the time and forget the right time,” said Davidoff. “The ability to send email at the right frequency to match the recipients’ engagement and at the time they are most likely to engage with the type of emails we send has a profound impact on open rates and other engagement metrics. The subject line is your first chance to connect with your customer or prospect. It’s no surprise that so many of our respondents said that a great one is the key to high open rates. Here’s their advice on how to make your subject line irresistible. Personalization is big in email marketing, and it starts with the subject line. “Crafting a subject line that is relevant, personalized, and engaging is the best way to increase your chances of an email getting opened,” says AJ Alonzo, director of marketing at demandDrive. And it can make a huge difference in your open rates. “Our open rates can easily double when we naturally customize a subject line,” says Jennifer Lux, marketing strategist at SmartBug Media. “Using company name is a favorite tactic of mine, but first name and product/service interest can also improve open rates and overall email engagement,” added Lux. There are a lot of possibilities for personalizing a subject line, and it’s worth taking the time to experiment. See what resonates with your audience. Marketers have been using questions to grab reader attention for decades. It’s no surprise that the practice continues in subject lines. Lose 10 pounds in one week! Is it possible to lose 10 pounds in one week? The first option seems too good to be true and is likely to get deleted fast. The second subject line, because you’re framing it as a question, creates a knowledge gap. “[E]ven if the person believes ‘no, it’s not,’ they’re curious to see whether they’re wrong,” said Capetola. That email gets a 60% open rate and generates a lot of responses. Combining this brevity with a knowledge gap can make for a must-click subject line. Specific words can make a big difference in your subject lines. And some of our respondents shared their suggestions for the words that drive opens. Jenny Weeden, marketing manager at Accelity Marketing, likes using the word “Because” in the subject line. “[P]eople want a reason why they should do something,” Weeden says. EmailMeForm‘s Aiza Coronado uses “you” and “your” in subject lines whenever she can. She also tested the two words against each other and found that “your” got 30% better results. That’s a huge change from a single word. Emotion is a powerful force when it comes to making decisions—even the decision to open an email. 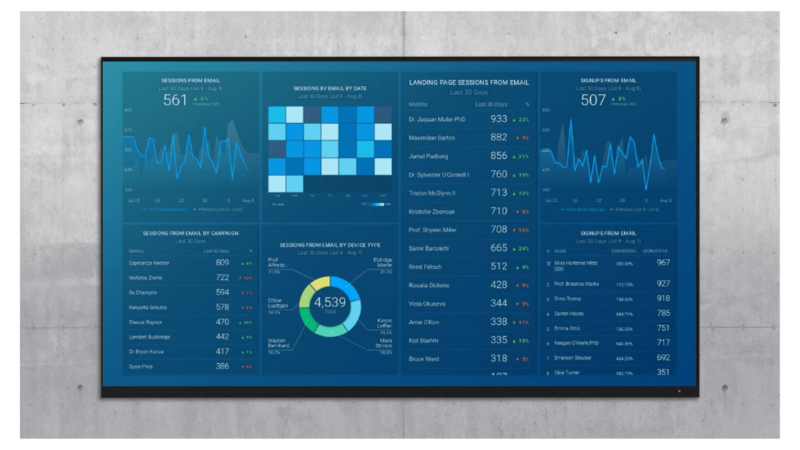 Anne Shenton, agency director of Ascend Inbound Marketing, shared her secret weapon: the Advanced Marketing Institute’s Emotional Marketing Value Headline Analyzer. It’s an indispensable tool for calculating the emotion value of your subject lines. You can check it out here. Remember that your subject line can’t be judged only by an algorithm, though. “What’s worked best for improving our email rates has been addressing our target customers’ pain points in the subject line,” says Kenneth Burke, marketing director at Text Request. And it increased their opens by 35–40%. For a while, there was debate over whether emoji should be included in professional correspondence. But for the most part, that debate has been settled. They get people to open emails. CrediReady Nicholas Fiorentino has found marked success with a specific emoji: 🔴. When placed at the front of the subject line, this simple red dot boosted open rates. You can even use emoji as part of your branding. “I know when I see a newsletter with unusual emojis coming in, it’s probably the daily newsletter from the news site Quartz,” says Louisa McGrath, content manager at Rebrandly. It’s clear why Quartz’s emails stand out. Long-time marketers are familiar with this one because it works so well. A sense of urgency can drive behavior—even when the email recipient doesn’t know what the urgency is for. KHB Marketing Group‘s Katherine Hunter-Blyden says that emails with subject lines that include things like “Last Day” or “Ends Tomorrow” don’t get put in the to-read-later pile. She also notes that it’s important not to overuse this tactic. Srajan Mishra, CEO of TSI Apparel, agrees. “Craft a sense of urgency or curiosity in your subject line,” Mishra says. Mishra also gave the example of changing an email campaign subject line from “10 Steps to Mastering the Suit: The Ultimate Guide” to “Want a Dapper Suit Like James Bond? : Follow These 10 Steps.” The change made people curious and significantly increased open rates. Most of our respondents talked about how to craft a great subject line that gets opens. But we also got a few technical tips, as well. Several marketers mentioned resending emails to subscribers who didn’t open your first message. “Resend campaigns are when you resend the same email newsletter campaign to the email subscribers who didn’t open your email first time around,” says Adam McIntyre, co-founder of BrandPacks. “I’ll often see a 50% increase in email opens” with a resend campaign. Automizy growth marketer Mor Mester recommends using a different subject line to increase opens. And Backlinkminds‘ Aneesh Babu likes to wait three days after sending the first email. You can try many different strategies with timing, new subject lines, and so on. But setting up a resend campaign in your email marketing program is a great first step. Several marketers pointed out that it’s not just your subject line that affects opens. It’s also what you put in the email. “[Y]our email strategy should focus on consistently providing value for your subscribers,” says Mark Rogers, marketing director at Carney. Janice Wald from Mostly Blogging uses Aweber to pull content from her blog’s RSS feed to automatically create newsletters with valuable content. This creates a consistency that lets her subscribers know what to expect. And you can build on that to create trust. Subscriber trust, says Robert Lomax, is “by far the most important way to increase email open rates.” The RSL Educational writer and editor adds that a welcome series is a great way to build that trust. Once you have all that down, you can still increase your open rates with a few technical tips. Two marketers, for example, suggested cleaning out your email list. “People are always thinking about the things they can do to improve their open rates but they don’t realize that list decay can erode your potential open rates over time,” says Josh Braaten, founder of Brandish Insights. He also pointed out that removing 20% or more of your list could save you a lot of money every year. Ladder.io‘s director of growth Edwin Plotts agrees. Not only does an unkempt list lower your open rates, but it also makes it harder to get good experimental data. On a related note, split test your subject lines. Katherine Chalhoub, head of creative and social at Web Profits, recommends finding language that works with testing. You’ll be able to see what your audience responds to, she says, and double down on that. It’s also a good idea to make sure your emails are likely to end up in your recipients’ inbox by double-checking that your Sender Policy Framework (SPF), DomainKeys Identified Mail (DKIM), and Domain-based Message Authentication, Reporting, and Conformance (DMARC) are set up correctly. David Denning, head of business development at Jumpstart Go, recommends using a reputable email marketing platform to get these tools working properly. If you want to get your subscribers to open your emails, you need great subject lines. They can’t be average ones that blend into everything else in your audience’s inbox. They need to be razor-sharp, personalized, targeted, and emotional. But that’s not the end of it. You also need good email campaign practices. And consistently valuable content. It’s easy to see why so many marketers have difficulty raising their open rates. But with all this great advice, you’re well on your way to making an improvement. Which strategies have you tried for increasing your email open rates? Which ones have worked? Which didn’t? Share your trials, tribulations, and successes in the comments below.